FORS training and accreditation from Bronze through to Gold will progressively drive more efficiencies across your business, making you safer, smarter and greener, delivering cost savings and increasing revenues.  FORS will also help you develop and improve your road transport and CSR policies. FORS can help you introduce or enhance a health and safety culture within your company, providing the tools that can help. Your existing customers will see that you’re committed to continual improvement, while also contributing to and investing in their own safety and sustainability, which will strengthen your business relationships and increase loyalty. FORS is a guarantee of best practice across your business, and as you progress from Bronze to Gold they are an increasingly useful tool for winning tenders and contracts. The business-critical training that drives FORS accreditation shows existing and future employees you’re invested in their safety and development, helping you to attract the best talent… and keep hold of it. Whatever the size or make-up of your fleet, FORS will help you monitor your fleet more effectively to maximise efficiency, comply with current legislation and ensure your vehicles meet safety and emission requirements. This will mean you keep more of your fleet operational by reducing the risk of accidents and legal issues. FORS comprehensive driver training will boost your team’s skills and knowledge at every level, significantly improving performance across your fleet. Investing in driver development in this way will also motivate your drivers and raise morale, helping you to keep your best people. Through increasing awareness of road and loading laws, reducing emissions and safer driver training, FORS will enable you to save money related to fines, insurance, maintenance and fuel efficiency.  FORS accredited vehicles demonstrate major reductions in both fuel consumption and collisions. From workshops on driver assessment and collision procedure to road risk and transport policy, FORS helps you to boost and maintain your knowledge in a range of key areas and keep up with the latest industry developments. Through its approved training programme, FORS will help you become a better driver. From learning how to drive more safely in urban areas to understanding how to reduce fuel consumption, you will be an even more valuable asset to the business. Understanding current transport legislation and getting up to speed on the latest rules of the road will make your job easier and help to reduce delays and costs for the business. FORS provides a range of safety training courses tailored to the demands of fleet drivers that will significantly reduce the chances of you having a road accident and helping to prevent injury to you and other road users. FORS training and accreditation from Bronze through to Gold will progressively drive more efficiencies across your transport fleet, helping you to improve service levels for the benefit of the community you serve. From specialist driver training to expert guidelines for vehicles, FORS will ensure your fleet sets an example in terms of safety, reducing the risk to your team, other road users and the general public. With increasing pressure on budgets, FORS will help you cut the cost of your fleet by decreasing fuel consumption through better driving and more efficient vehicles, and reducing repairs through improved safety and expertly trained drivers. FORS will work with you to minimise your fleet’s environmental impact through helping you to achieve more efficient vehicles that deliver lower carbon emissions and by providing training courses on fuel-saving driving techniques. Through extensive driver training programmes, FORS operators provide a more efficient service, including reduced journey times through better planning, and fewer hold-ups through breakdown or accidents. This helps you keep traffic flowing better across your local area. FORS Silver accreditation aligns with CLOCS – meaning FORS Silver accredited members are automatically compliant with CLOCS. Watch the video below for more information. Your FORS journey to accreditation will transform your business into an industry pace setter and a leader in fleet transport best practice. You will instil a mindset of continual improvement, joining an elite group of operators that boast exemplary levels of safety, efficiency and environmental awareness.  The accreditation process is clear and straightforward, with lots of support available from the FORS team to guide you along the way. Get started on your route to FORS Bronze, Silver and Gold. The purpose of the Bronze audit is to make sure that the operators we accredit meet specific exacting standards. The audit process is about providing evidence of systems, procedures and documentation that demonstrate your company can meet the required standard of entry into FORS Bronze accreditation. To ensure that you are maintaining the FORS standard, on-site re-approval audits are conducted annually for Bronze, every two years for Silver and every two years for Gold. Those who are renewing their Gold and Silver accreditations will also have to provide evidence annually. For more information, click below. FORS is aligned to a number of other schemes. At Bronze level operators will be ready to meet the requirements of the Safer Lorry Scheme. This mandates basic safety equipment (side under-run protection and safety mirrors) on all commercial vehicles over 3.5t. At Silver level operators will also meet the requirements of the Standard for Construction Logistics and Community Safety (CLOCS) and TfL’s own Work Related Road Risk requirements (WRRR). For more information, click here. Many companies are taking advantage of the benefits offered by the FORS accreditation scheme. Click below for the full list of FORS Operators. FORS Champions are companies who specify or actively promote FORS. Click below for the full list of FORS Champions. FORS Associates and Affinity Partners are companies who offer discounted products or services to FORS Operators. Click below for the full list of FORS Associates and Affinity Partners. Pre-audit Service Providers are companies who provide services to help organisations gain FORS accreditation. Click below for the full list of Pre-audit Service providers. Find out how FORS have benefited many organisations and how they have implemented best practice from the scheme. FORS is always on the lookout for new case studies, helping raise the profile of the programme and the operator being covered. To submit a case study for publication, call 08448 09 09 44 (8.30am-5pm) or click here to email us. Your FORS fee is made up of the annual subscription fee (based on your fleet size) and an audit fee (based on the number of operating centres accredited – click here). Use the Fees link to access more details. Make sure you and your team meet the required FORS accreditation criteria and drive best practice across your organisation through the FORS comprehensive range of classroom and e-learning courses, many of which are free of charge. This extensive training programme was devised specifically for FORS to improve skill levels and performance across your organisation. Delivered by industry experts it provides the guidance you need to achieve FORS Bronze, Silver and Gold. Delegates from FORS accredited companies continue to have the opportunity to become a FORS Practitioner by completing each of the 10 offered workshops to receive your FORS Practitioner certificate. Recent research found that more than 90% of FORS members were happy with help and support they receive.